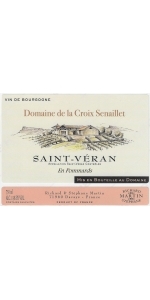 Croix Senaillet St. Veran Les Rochats is made from 100 percent Chardonnay. This Saint Véran Les Rochats is produced from 50 year old Chardonnay grapes that are organically grown. Clear golden color with light green reflections. 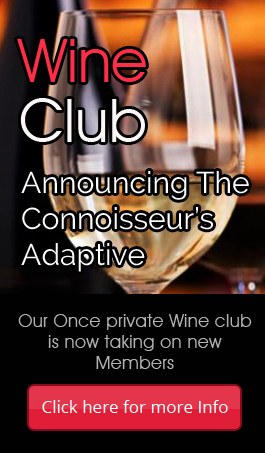 The wine has a rich and complex bouquet with a wide array of aromas: pear, nougat, wild peach and kiwi. The mouth is rich and dense bringing freshness with a nice volume and finishing on a light exotic note. Surface area : 1 Ha. Soil : limestone soil from the Jurassic period, covered by pebbles acting like a filtering soil. South-east facing parcel on half-hills. Grape variety : organically-grown Chardonnay. Plantation density : 8.500 vinestocks per ha. Age of vines : 50 years. Mâconnais style pruning quite short, with 10 to 12 buds. Destemming to avoid herbaceous taste. Slow and gentle pneumatic pressuring guarantees purity of juice and extraction of the finest aromas. Very slow alcoholic fermentation in stainless still tank. Aging in stainless steel tanks for 9 months with gentle stirring of fine lees. Pairs well with shrimp risotto, sautéed veal with eggplant. This Saint-Véran En Pommards is produced from 50 year old Chardonnay grapes organically grown on limestone marls. Bright golden color, ample and complex wine offering small berry, ripe apple and dry apricot aromas. The discreet toasty notes brings volume, juicy texture mingled with the freshness of the fruits. A beautiful balance and great aging potential for this delicious Chardonnay. Surface area : 1.50 ha. Soil : limestone marl, 30% of slope. North-east facing parcel situated halfway up the hillsides. Vines are pruned in the Mâconnais style Acure system. Destemming to avoid herbaceous tastes. Slow and soft pneumatic pressing at low pressure to favor the purity of the juice and the aromatic expression. Alcoholic fermentation in stainless steel vats and oak barrels at slow and controlled temperature until January. Aging for 8 months on fine lees, 50% in oak casks. Blending of the juice vinified in the vat with the juice vinified in cask. Croix Senaillet Saint Veran is made from 100 percent unoaked Chardonnay. Fresh and fruity with floral, peach and citrus fruit aromas followed by mineral notes. Mineral, citrus and honey flavors. Rich and luscious palate with a long finish. Produced from a selection of 40 parcels spread over 17 hectares. 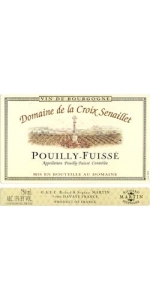 Some of the parcels include: Maillettes, Bergades, Poncétys, Terres noires, Pommards, Chênes, Surigny, Prâgnes, Bruyère, Chailloux, etc Average age of the vines is 45 years. The soil is made of clay and limestone. South, southeastern exposure - a few plateaux. Careful vinification. Minimal intervention in the vinification process. Modern equipment (pneumatic press, thermo-regulated tanks). Each parcel is harvested at full maturity. Destemming, slow press, slow fermentation, malolactic fermentation, aging on the lees. Surface area : 59 ares located in the village of Solutré and Fuissé. Soil : Jurassic limestones mixed with platy marl. South and North-east facing parcel. Plantation density 8.000 vinestocks per ha. Age of vines : 70 years. Very low yield focusing on concentration. Harvest at full maturity; destemming; slow and gentle pneumatic pressing to ensure purity of fruit and extract fine aromas. Aging on the lees for 10 months; stirring of the lees. Pair with bresse traditional chicken served with Burgundian truffles, roasted lobster with cream of avocado, pork tenderloin with bacon and sweet potatoes. Domaine de Mus Roussane-Vermentino is an original blend of Roussanne (85%), Vermentino (15%). Separate wine-making, blending before bottling operations. No Oak. The wine is an unoaked blend of Roussanne (85%), Vermentino (15%). Separate wine-making, blending before bottling operations. Brilliant light color. On the nose aromas dominated with orange blossom and lemon notes.Fresh and complex on the palate, with citrus flaoting on a crisp finish. Grapes are very carefully protected against any oxidization, as soon as picked up and during the carriage into the cellar. Night harvesting, when the temperature is the lowest. Complete destalking, direct pressing into CO2 atmosphere. Stalling for 24 hours, and immediate racking at 8°C : the clearest juices only are selected. Fermenting process set off with selected yeasts addition, in stainless steel tanks, under heat monitoring, during 30 to 40 days. Maturing on fine lees, all winter long, with regular stirring of the lees. Fining and bottling. "Mostly Roussanne (there’s just 15% Vermentino), the 2017 Roussanne-Vermentino is a fresh, vibrant white that over-delivers at the price, giving up lots of citrus, lemon, and minty notes in a medium-bodied package. It has a touch of minerality, fleshes out nicely with time in the glass, and is an outstanding white to enjoy over the coming year or two." 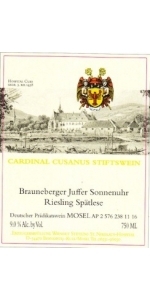 Bastgen Berncastel-Cueser Weisenstein Riesling Spatlese Trocken is made from 100 percent Riesling. Bright, clean, fresh and zesty. Grapefruit like flavors. Fruity aromas and a nice minerality, typical of the Riesling grape grown on blue slate soil. Round, rich and a very long finish. The grapes for this wine are vigorously selected. Botrytis is not tolerated. At harvest the grapes are fully ripened, have a golden color, and a soft tartness. After a long spontaneous fermentation in a traditional 1000L barrel, the wine just reaches the dry stage. This gives the wine a creamy structure that interplays with ripe yellow and exotic fruit aromas. A delicate wine that yet has power and fullness, predestined to go with food. 111 cases made. "Fragrant yellow peach and melon notes are accented by earthy whiffs of crushed mineral and slate in this full bodied, luscious Riesling. Ripe yellow peach and apple flavors are rich and penetrating, offset by brisk acidity and a sleek, stony finish. A hedonistic wine to enjoy now through 2030. 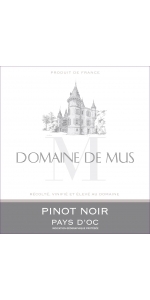 - Anna Lee C. Iijima"
Domaine Charles Pere & Fille Pommard is made from 100 percent Pinot Noir. The Pommard is a selection of seven different parcels, each fermented separately, with the final blend made at the end of aging to create the best expression of soil diversity. 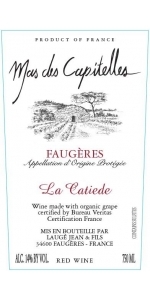 Fully destemmed then placed in vats for 15 days and aged for 18 months in French oak barrels. 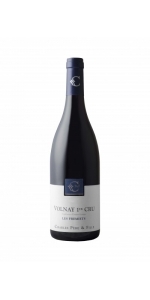 Domaine Charles Pere & Fille Volnay Premier Cru Fremiets is made from 100 percent Pinot Noir. Winemaking:Fully destemmed, then vatted for about 15 days and aged in French oak barrels for 18 months. Grapes are picked by hand and transported in small crates in order to prevent berries from being crushed. With the same concern for quality, bunches and grapes are sorted again as soon as they reach the cellar. Tasting notes: Nice shades of violet and garnet red. On the nose, violet and cherry notes. A wine with a good attack, silky tannins, elegance and, above all, nice length. Food pairing suggestions: It perfectly complements venison marinade, Bresse chicken. 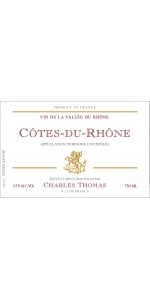 Charles Thomas Cotes du Rhone Rose is made from 50% Syrah, 50% Grenache. This juice is a light pale salmon color. 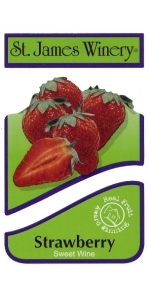 On the nose you will find the classic strawberry along with hints of watermelon. Bright, focused and balanced on the palate with ripe red fruit flavors. Overall an amazing value on a refreshing Rose. "The 2017 Sainte Victoire Côtes de Provence Rosé is a rock star of a rosé and comes from one of the top appellations in Provence, Sainte Victoire. A blend of 50% Grenache, 30% Syrah, and the rest Cinsault, it has a beautiful array of orange blossom and crushed citrus, with a distinct salty minerality that develops with time in the glass. Medium-bodied, with high yet integrated acidity, it has a great texture as well as ample length on the finish. It can stand on its own on a summer day but will also shine on the dinner table." Fresh picked strawberries never tasted this good. 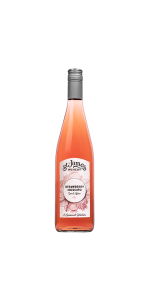 Our Strawberry wine, made from sweet vine ripened strawberries, is excellent served cold especially for dessert with pound cake or milk chocolate. "Sonnenuhr" means sundial. The vineyard is facing the small town of Brauneberg formerly Dusemond. It's a steep slate slope on the Mosel, with a south-southeast exposure. Full-bodied Riesling with typical Devonian slate qualities. Luscious fruit; nice minerality, length and acidity. 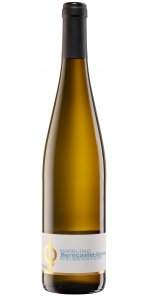 "Hints of petrol, honeycomb, quince, and mint all emerge from the 2015 Brauneberger Juffer-Sonnenuhr Riesling Spätlese, a beautifully deep, medium to full-bodied, flawlessly balanced Spätlese that does everything right. Showing more and more minerality, with an almost liquid rock-like character, it has a terrific mid-palate as well as a great, great finish. There are only 110 cases of this produced, but it’s a brilliant wine." "Sonnenuhr" means sundial. The vineyard is facing the small town of Wehlen, located in the middle of a long steep curved slate slope on the Mosel, with a south-southwest exposure. The wine exhibits a fresh fruity bouquet of peach and apricots with honey and spicy notes. Strong, sweet and long flavors. Elegant, full bodied and luscious wine with good minerality and acidity on the palate. 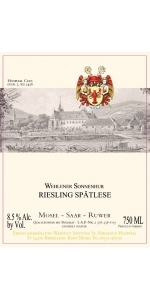 "I loved the 2015 Wehlener Sonnenuhr Riesling Spätlese, which comes from the oldest estate in the middle Mosel region. It offers a vibrant, racy, medium to full-bodied style that carries beautifully pure white peach, lime, sugared mint, and honeyed mineral aromas and flavors. It’s textured and rich, yet beautifully balanced and vibrant." 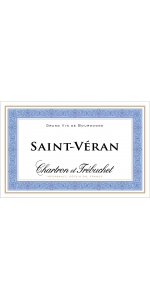 Chartron & Trebuchet Saint Veran is made from 100 percent Chardonnay. Clear pale yellow in color. Fresh notes of lime, verbena and tea. The mouth offers a great acidity, with floral and citrus aromas. The grapes are grown using sustainalble viticulture's method. Vinification : Traditional vinification. The grapes are pressed on arrival at the winery using pneumatic presses. The fermentation takes place in stainless steel tanks thermoregulated at 16°C. Perfect with noble seafood (gambas, lobsters, crayfish...) but also with foie gras and white meats with a creamy sauce (veal or poultry). Sushi pairs perfectly with its minerality. Ideal with Goat cheese as well. Nice red color, with garnet-red shades. Expressive and charming on the nose with nice flower notes (violet, peony). On the palate, fresh and round, a fine and elegant red wine on red fruit notes (cranberries, redcurrants), with a beautiful balance. A nice length, with a soft spicy finish. A beautiful Mediterranean expression of the variety. The average age of the vines is 11 years old. Traditional winemaking. A very special attention is paid to the health state of the crop, harvested when fully matured. Complete destemming. Macerating in vats during 5 weeks, under heat monitoring. Fermentation under the effect of selected yeasts. End of fermentation under control of the temperature. When the fermenting process is achieved, free-run and press wines are kept separately and sometimes partly or totally blended, according to the vintage aromatic and gustatory expression. Ageing in vats until bottling. 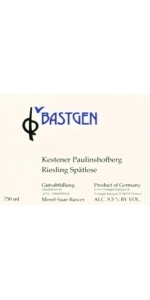 Bastgen Kestener Paulinshofberg Riesling Spatlese is 100 percent Riesling. Yellow color with green highlights. Beautiful peach aromas on the nose, rich and ripe fruits on the mouth with a refreshing acidity and honey notes. A very pleasing wine. They meticulously tend 4.5 ha (11.11 acres) of which 80% is Riesling. The soil is made of slate. Their vineyards are located in Kesten and Brauneberg, on a steep terrace, and planted to 50-year old vines. Fortunately for Bastgen, they own part of the famous Brauneberger Juffer Sonnenuhr. The vines produce very small, ripe berries that are very tasty. "Like the Kabinett, this bursts with grapey, generous fruit flavors, tangy acidity keeping theine fresh. The gingery spice and mint edge give it shape, pointing it towards Szechuan food, where the sweetness will tamp the heat while the aromatics play with the floral peppercorns." Ruby wine with overtones of red berry fruits. Round and supple with smooth aftertaste. 56 Ha grown organically since March 2009 (in conversion). Part of the vineyard is plowed with horses. Mechanical harvest. Yields: 48 hectoliters per Hectares. Average age of the vines : 30 years old. A good all round red wine for meat courses, poultry and light cheeses. Best drunk now while fresh with good keeping up to 4 years. Color is deep and intense. The wine is balanced with silky tannins. Flavors of leather and citrus with a nice pleasant finish. "La Catiede" is the name of the "Lieu-dit" where the vines are planted. It has been in the Laugé family for many generations and naming a Cuvée La Catiede represent the heritage and an hommage to their ancestors. Delicious with lamb and grilled vegetables. Fresh, light and mildly sweet, our Strawberry Moscato is crafted with award-winning Moscato wine and real strawberries free of added coloring or flavors. Only available for a limited time. An intense red garnet color. On the nose, aromas of red and black ripe fruit (kirsch and wild blackberry). The mouth is full, with aromas of blackcurrant liqueur and spice. Tannins are both harmonious and elegant thanks to the fleshiness of the wine. Hints of licorice and vanilla on the finish, which gives the wine length and complexity. Soil type LIRAC vineyard is facing Chateauneuf du Pape, opposite side of the Rhône river. As showed by the picture and following geologist George Truc, soils are almost similar in both side. They are marked by the violence wrought by the Rhone river. It consists of a layer of marine molasses of the Miocene period covered by alpine alluvium. The presence of a great number of rounded stones known as "galets" in the earth is evidence of the time when the Rhone, then a torrent, tore fragments of rock from the Alps and deposited them on the plain. LIRAC is one of the up-coming best area from the southern Rhône valley, as it delivers outstanding wines. Winemaking & ageing Traditional wine-making in stainless still vats. Hand sorted bunches, crushed and destemmed grapes. Fermentation temperature : 30°C. 18 days of vatting with pigeages. 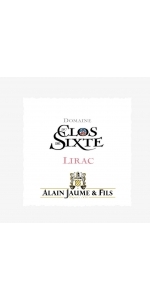 "The 2016 Lirac Domaine du Clos de Sixte is a terrific wine, easily the rival to many Châteauneufs from across the river, starting with its alluring aromas of flowering garrigue and ripe cherries. A blend of 50% Grenache, 35% Syrah and 15% Mourvèdre, this full-bodied wine is lush and concentrated on the palate, then turns velvety on the long finish. I'd treat it like a Châteauneuf du Pape in terms of cellaring: hold it for a few years, then drink it over the next 15. - Joe Czerwinski"
Alain Jaume Rasteau Les Valats is made from 80% Grenache, 10% Syrah, 10% Mourvèdre planted on clay and stones based soil. Deep red garnet color. Aromas of fresh red berries. On the palate, the richness of the fruit and tannins harmonizes with the roundness of the wine. The finish is long, with spicy touches and minerals notes. Complete and authentic. Grapes planted on clay and stones based soil. "Earth, black olive and plummy fruit combine on the nose of the 2016 Rasteau Les Valats. It's a bit rugged, but in a good way, with savory tannins framing the dark flavors and lingering on the finish. Dark and dusty, it calls out for grilled meat. 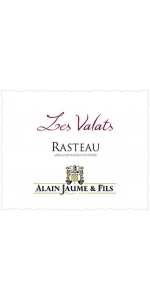 - Joe Czerwinski"
"The 2016 Rasteau Les Valats is another outstanding wine from this team, offering classic Rasteau earthy black fruits, gravelly minerality, and a touch of spice to go with a full-bodied, concentrated, powerful style on the palate. Based on 80% Grenache and 10% each of Syrah and Mourvèdre, it’s a powerful yet balanced 2016 that will keep for 7-8 years."